Kemba Walker is heading to Los Angeles. 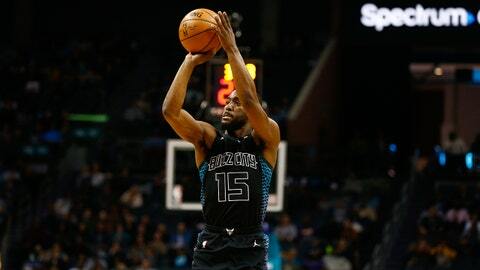 The Charlotte Hornets‘ star point guard is heading to his second consecutive All-Star Game as the injury replacement for New York Knicks big man Kristaps Porzingis, who tore his ACL this week. Walker was selected as a reserve by NBA commissioner Adam Silver and will join Team LeBron. The 27-year-old is averaging 22.6 points on 55.9 percent true shooting and 5.8 assists per game as the encore to his career year. Only Boston Celtics standout Kyrie Irving claims a higher scoring average among Eastern Conference point guards. Walker is just the fourth player in Charlotte Hornets history to make multiple All-Star appearances, joining Glen Rice, Larry Johnson and Alonzo Mourning.